At Tully House dental Surgery, you will find the best Dublin Dentists. Our practice is based on Monastery Road, Clondalkin, Dublin 22. Tully House dental practice has a huge selection of top quality dental services and orthodontic treatments, for you and your children. We have been providing this service since our practice was first founded in 1981. Over the years, our dental practice has become known for the relaxed and comfortable environment that we create for our patients. From the moment you enter our clinic you will be taken care of by our caring and helpful staff. We encourage our patients to provide us with feedback, and they often say that they find the reminder text that is sent out by our staff to be most helpful. At Tully House dental surgery each patient will receive a one on one personal experience, because we understand that everyone will have individual dental needs. We provide our patients with the most modern treatments in order to cater for each of their dental needs. 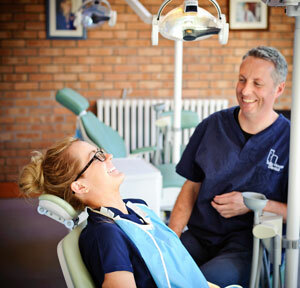 At Tully House we want to offer our patients the best standard of dental and orthodontic treatment. We provide a gracious service that we are proud of. We make sure that our patients are comfortable and we tend to their every need at all stages of their dental treatment. Tully House dental clinic has become very well known for the high standard dental services that it offer to its patients, and because it is one of the long-established dental practices in Ireland. We try and assist our patients in every way. Therefore our practice’s flexible timing is great for our patients, and helps them organise their dental appointments around their busy schedules. We provide our patients with full detail of their treatment, to ensure they are comfortable and have an enjoyable experience. We remind our patients of the importance of dental care and dental hygiene. We provide them with the essential information in order to educate them about their oral health. We aim to meet the dental needs of our patients with the new advancements in dentistry and cosmetics. With the latest innovations and top quality technology we are able to do so. The accessibility of our practice makes it an ideal location for our patients. It is based just off the M50 in Clondalkin, and from town it is only a 15 minute drive depending on traffic. Across the road from our practice there is a car park which provides direct and easy parking for our patients.